The festival of celebrating the light of darkness is coming back. Deepavali is the day of Hindu community to celebrate the good over evil and give thank to the gods. Deepavali- also known as the Festival of Light marks a significant celebration among India community. We celebrate triumph of good over evil, and light over darkness. In conjunction with the Deepavali celebration, we will close at 13th November 2012 ( Tuesday) and shall resume our business as usual at 14th November 2012 ( Wednesday). If you have any technical enquiries, you may contact our support team by email at support@netonboard.com or call at 010-3662688/ 012-6171688. 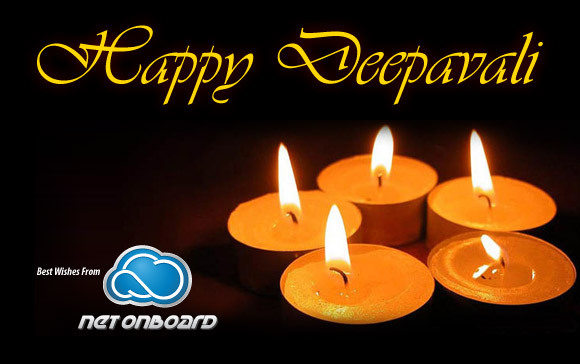 Net Onboard would like to wish all of our beloved customers have a prosperous Deepavali and Happy Holiday! Announcement deepavali, god, light November 9, 2012 by admin. Announcement change, contact November 7, 2012 by admin. Hari Haji is an Islamic Festival to commemorate the willingness of Abraham to follow Allah’s command to sacrifice his son Ishmael. In-conjunction with the Hari Haji Day, our sales & billing office is off on 26th October 2012 (Friday). We shall resume to normal business hours on 29th October 2012 (Monday). 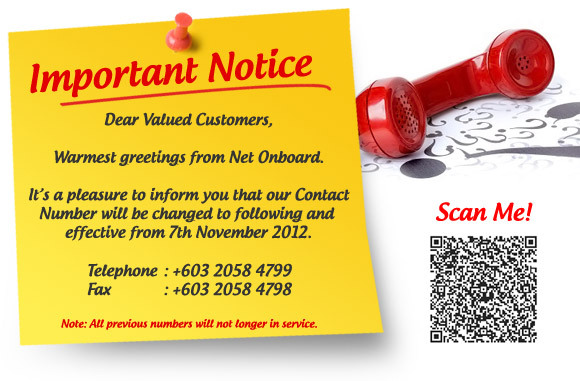 If you face any technical inquiries during this period, you may still reach our support team via the Emergency Mobile Contact Number +6012-6171688/ +6010-3662688 or by submitting ticket to support@netonboard.com or www.supportchain.com. Wish you have a meaningful Hari Haji Day! Announcement haji, Happy October 25, 2012 by admin. We are Malaysian. The 16th September – Malaysia Day is the moment we celebrate solidarity and unity. We are proud to be Malaysian. We speak different languages, we practice different cultures, we cook different cuisines and we have different skin colour. But we have one ultimate goal – to be truly Malaysian. We embraced unity and harmony. We live peacefully. In conjunction with the Malaysia Day celebrations, our sales & billing office will close on 17th September 2012 (Monday). We shall resume our business as normal on 18th September 2012 (Tuesday). If you face any technical inquiries during this period, you may still reach our support team via the Emergency Mobile Contact Number +60126171688/ +6010-3662688 or by submitting ticket to support@netonboard.com or www.supportchain.com. 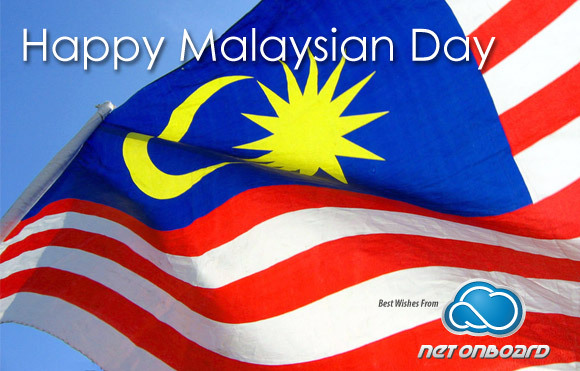 Wish all Malaysian have a Happy and enjoyable Malaysian Day. Announcement Malaysian Day. Close September 13, 2012 by admin. Happy 55th Birthday! We love you, Malaysia! We sing national anthem every morning during school assembly. Nowadays, it seems that younger generation find it hard to develop spirit of patriotism for motherland. Yes, they still sing national anthem every day. But do they know well about our homeland? Malaysia – a lovely tropical country with nice food and weather. We are geographically protected from natural disaster. We have harmony multi-cultural society. Why shall we lose our love and passion toward this homeland? We have to treasure the lovely homeland with our children. A nation can never be truly free of all its negative aspects. We shall not be influenced by negative messages. It’s important for parents to educate the youngster how lucky for us to born on this land. We need to be united. No race, no skin colour, no language or religion difference from each other. We are Malaysian! In-conjunction with the 55th Malaysia Independence Day, our sales & billing office is off on 31st August 2012 (Friday). We shall resume to normal business hours on 3rd September 2012 (Monday). If you face any technical inquiries during this period, you may still reach our support team via the Emergency Mobile Contact Number +6012-6171688 or by submitting ticket to support@netonboard.com or www.supportchain.com. Announcement malaysia August 27, 2012 by admin. Malaysia is well-known as a harmony multi-cultural country in the eye of the world. We celebrate various cultural festivals together. 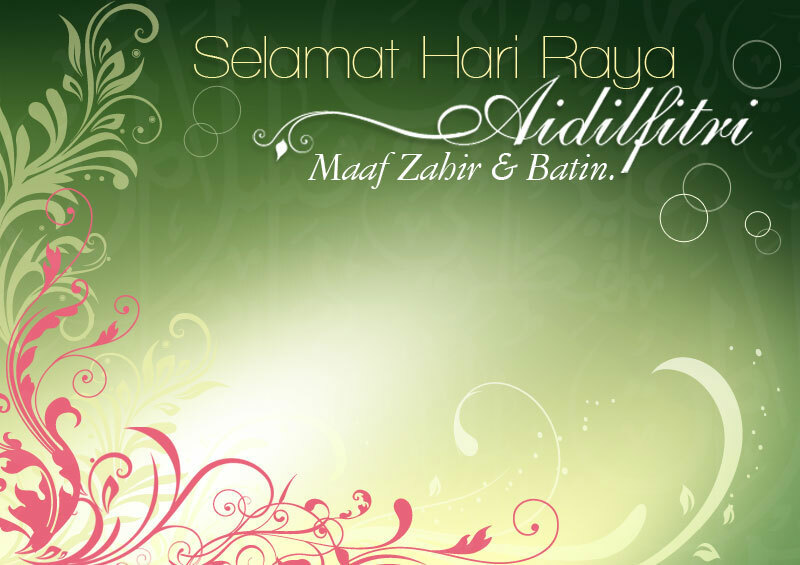 Hari Raya Aidilfitri is one of the major celebrations of Malaysia. This day marks the end of fasting month of our Muslim friends. Hari Raya Aidilfitri is always a special holiday for us when we were kids. House hopping to Muslim friends and teachers’ house is part of the fun and memorable moments. Not forgetting the Ramadan bazaar with mix variety of Mamak or Arabic food culture being the food heaven for local people as well as tourist. Mouth watering and finger licking good food such as nasi lemak with ayam rendang, satay, murtabak and etc is a must try experience to cheer up your day. 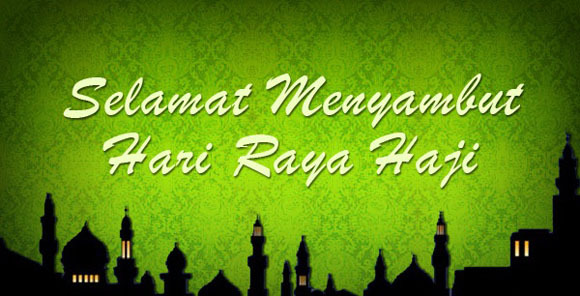 In conjunction with the Hari Raya Aidilfitri celebrations, our sales & billing office will close on 20th and 21st August 2012 (Monday & Tuesday). We shall resume our business as normal on 22nd August 2012 (Wednesday). If you face any technical inquiries during this period, you may still reach our support team via the Emergency Mobile Contact Number +60126171688 or by submitting ticket to support@netonboard.com or www.supportchain.com. Announcement close, hari raya, muslim August 13, 2012 by admin. We are on Cloud now! 08 August 2012, this will be a special moment for Net Onboard. On this date, we are proud to present our brand new logo and new business focus. With our new business alignment towards Cloud Technology, we are excited to announce on our service streamlining from general shared hosting into a focused service provision on the booming Cloud Server & Cloud Storage for enterprise business demand. The Blue Cloud will be our new identity. 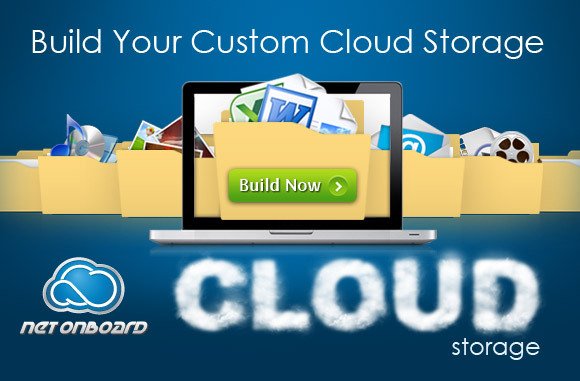 Cloud Storage: Remote storage with high concern of data integrity as priority under clustered of SAN Storage. New corporate logo is part of on-going evolution of Net Onboard. The Blue Cloud represent our role in the Cloud Technology segment. It’s time to explore the Blue Cloud. Visit www.netonboard.com to discover the brand new Net Onboard. Announcement cloud, new logo August 6, 2012 by admin.